Founded in 1992, Carolina Ocean Studies has shared the wonder of the Carolina coast with thousands of children and adults. We take groups to magnificent barrier islands and ocean reefs for thrilling environmental education. The sea's wonders are revealed when participants go fishing, crabbing and exploring remote beaches. The places we visit are part of our country’s natural treasure. Shackleford Banks has one of the largest populations of wild horses in the Eastern United States. The Cape Lookout Lighthouse has been warning ships of North Carolina's infamous shoals since 1859. 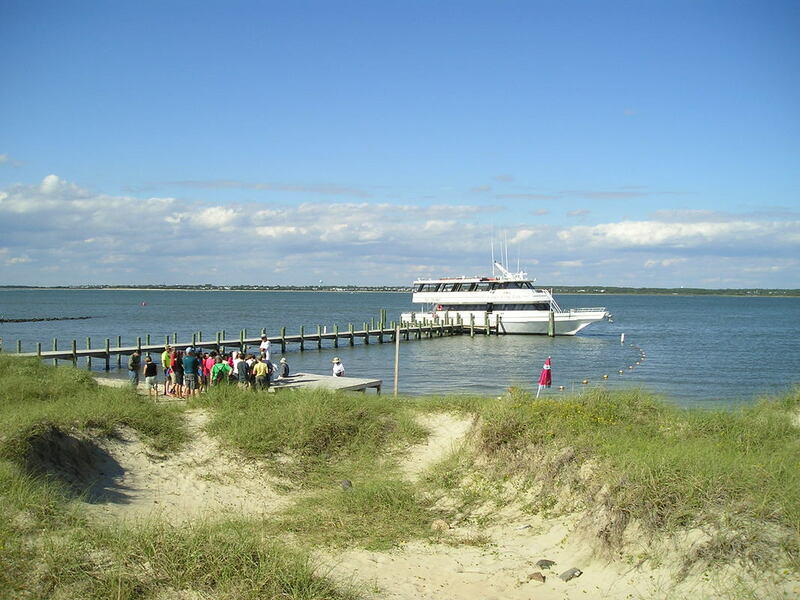 The pristine and secluded beaches of Masonboro Island bring both awe and solace to its visitors. Our school programs are curriculum-based and are conducted by experienced instructors, many of whom have years’ worth of classroom experience. Each year we take over 25,000 students on educational programs. Teachers have been recommending our cruises for 25 years. While our organization primarily caters to school groups, we also work with homeschool, scout, senior, church, and 4-H groups. We will adapt our cruises to your group's specific needs. All of our programs take place on vessels that are regularly inspected and certified by the United States Coast Guard. Most of our boats range in size from 60 to 85 feet.